Townsville Local Government Area Pest Management Plan (PDF) outlines Council's strategies for preventing the introduction, eradicating and containing restricted pest plants and animals in Townsville. This plan will soon be replaced with the Townsville Biosecurity Plan. 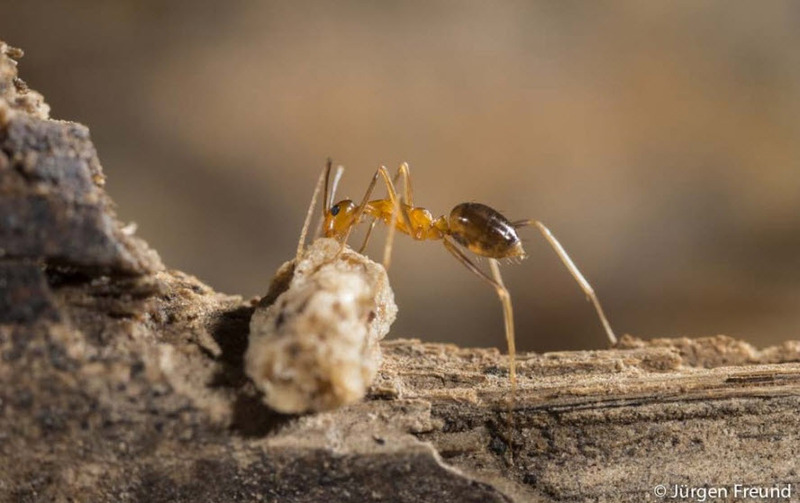 Townsville City Council is committed to eradicating the Yellow Crazy Ant (YCA) infestation in Nome, and has engaged the expertise of the CSIRO to provide specialised technical advice, development of the eradication program and assistance in obtaining permits for specialised control products that are required to treat YCA. Council is continuing to conduct surveillance and mapping activities to locate the yellow crazy ant colonies. The eradication program is expected to commence in late October, and further information will be provided to effected properties prior to commencing treatment of the ants. The eradication program will continue throughout next year. Townsville City Council is asking all residents of Nome to take steps to prevent the spread of YCA. Do not remove green waste, soil, pot plants or any other outdoor object that could house YCA from the property. Mulch green waste on site. Check and clean cars, boats, trailers and caravans before travelling if they have been sitting for longer than 24 hours. Contact council to participate in the eradication program. If you suspect YCA please report all sightings to council. It is important to report any sightings so we can track and monitor any movements. To participate in the eradication program, to enquire or to report a sighting to council please call 13 48 10. Located in the Bluewater/Paluma, Black/Bohle and Alligator catchments. Feral horses can cause erosion, damage vegetation, spread weeds and reduce the quality of work horses by contaminating bloodlines. Council is working to educate the community about the risk of feral animals and is asking the community to report any sightings of feral horses. Dogs, wild dogs, feral dogs and dingoes: what's the difference? Wild dogs are all dogs that are not domesticated including dingoes, feral dogs and hybrids/crosses between the two. Dingoes are native Australian dogs believed to have migrated from South-East Asia about 5000 years ago, and have had a lasting natural impact on Australian native animals. Breed only once a year, in early winter. Feral dogs are abandoned or strayed domestic dogs living in a wild state in the bush or in an urban environment. Domestic dogs are all dogs bred and kept as pets, guard dogs or working dogs. They may also behave like wild dogs if they are free roaming and not adequately controlled. Dingoes and wild dogs are restricted invasive animals under the Biosecurity Act 2014. A Dingo must not be moved, kept, fed, given away, sold or released into the environment without a permit. Legally, the primary responsibility for wild dog control lies with landholders. In built-up areas the local government may help coordinate control programs. the availability of water on farms and potential prey such as native animal species, livestock and rabbits as well as the availability of food due to with human settlement. In rural areas dingoes/ wild dogs can reduce the viability of sheep, goat and cattle farming. Dingoes/wild dogs can be a hazard to livestock, poultry, pets and humans in boundary areas between urban and rural environments. Dingoes/wild dogs can carry both canine and human diseases, including distemper, neospora, canine parvovirus and hydatid worms. There is no evidence to suggest that pure dingoes, feral dogs or a cross between the two occur in Townsville. If you see what appears to be a feral dog, it is more likely to be a dingo hybrid or of dingo origin. In most cases, Council treats all problem animals in Townsville as wild dogs. Council has a Wild Dog Management Strategy for managing the impacts of wild dogs. This strategy specifies priorities for action in the management of dingoes and wild dogs in the urban and rural areas in Townsville. Biosecurity Queensland has more information on dingoes and wild dogs. Fire ants are from South America and are native to the floodplains of the Paraguay River in Brazil, Paraguay and Northern Argentina. In Australia, there have been six separate incursions of fire ants. Five recorded in Queensland; and one in Port Botany NSW. If you have sighted a Fire Ant contact the Department of Agriculture and Fisheries. Feral pigs are a restricted invasive animal under the Biosecurity Act 2014 and a high priority for control under the Townsville Local Government Area Pest Management Plan. It is illegal to move, feed, give away, sell or release feral pigs into the environment without a permit. The Townsville Local Government Area Plan to outlines actions to contain feral pigs, including trapping and baiting. Biosecurity Queensland has more information and factsheets on feral pigs. The Indian Myna (Acridotheres tristis) is a native bird to India, Asia and the Middle East. It was introduced to Australia in the 1860’s and has been established as an invasive species. The Indian Myna reduces biodiversity, impacts agriculture and has the potential to affect human and animal health through disease transmission. To find out more about the Indian Myna and the impacts it causes, download the Indian Myna Bird Fact Sheet. Under the Townsville Local Government Area Pest Management Plan the Indian Myna Bird (Magnetic Island only) has been identified as a pest animal for early detection and eradication. Parthenium is a serious weed that will grow anywhere. It is a restricted invasive plant under the Biosecurity Act 2014 and has been identified as a high priority local pest plant for early detection and eradication under the Townsville Local Government Area Pest Management Plan. There are infestations in the rural areas of Townsville which are currently being surveyed and treated. Biosecurity Queensland has more information on the Parthenium weed. Wild peafowl (peacocks) are found on Mount Stuart and Magnetic Island. Council is working with landholders to remove wild peafowl from their properties. There are a number of species of fish in Townsville's waterways that compete with native fish for resources and threaten the natural ecosystem of our rivers. Thunbergia Fragrans is a restricted invasive plant under the Biosecurity Act 2015. It must not be given away, sold or released into the environment without a permit. Biosecurity Queensland has more information on thunbergia fragrans. Rabbits are not permitted to be kept by residents in Queensland. Biosecurity Queensland regulates the keeping of rabbits. These restricted plants are so widespread in Townsville that the management objective is to contain them to their existing extent. Eradication of these plats will form part of a long term strategy. Have you discovered a new weed or a new infestation of an existing weed? Seen a pest animal that you haven't noticed in Townsville before? If so, complete our Pest Notification form, once returned to council either by email or in person at 103 Walker Street we will follow up on your sighting. Information on other pest plant and pest animal activities in which council is involved, visit State of the Environment or Biosecurity Queensland.